Today is the last day to enter the Die-Namites + Craftwell GIVEAWAY! Want to enter to win a $25 dls giftcard to Die-Namite Dies & the new mini embossing folders by Teresa Collins? Follow the instructions below, and check out Tyra's gorgeous card ideas! Inspiration and a chance to win?! Yes, please! Cut 'n' Boss and Die-Namities Giveaway Week! 2. Leave a comment here and over on Die-Namities blog! 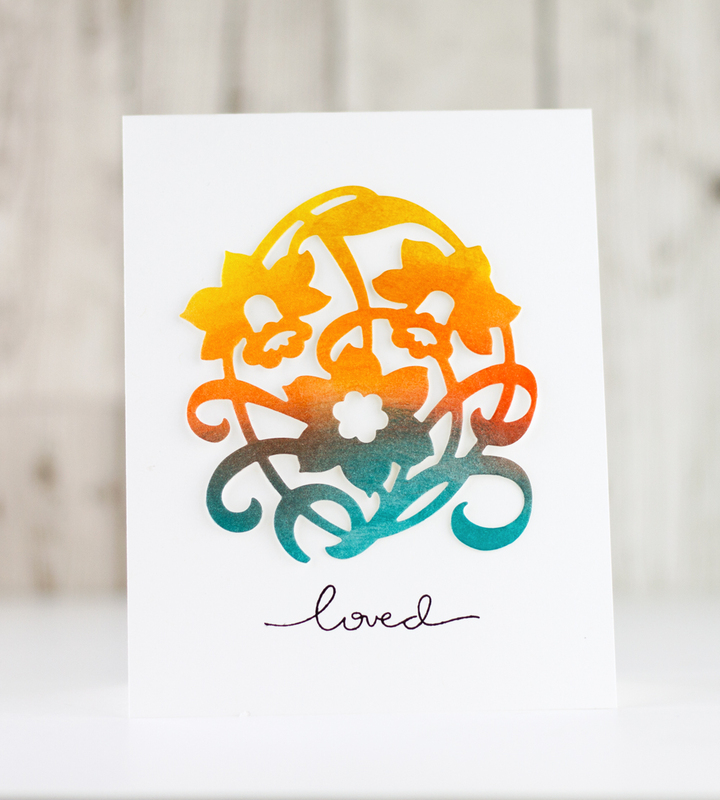 Hi It's Tyra and I'm back to share a few fun lovelies created with the Teresa Collins Cut'n' Boss featuring Die-Namites Spring Splendor Die! Let's get to the cards, shall we? 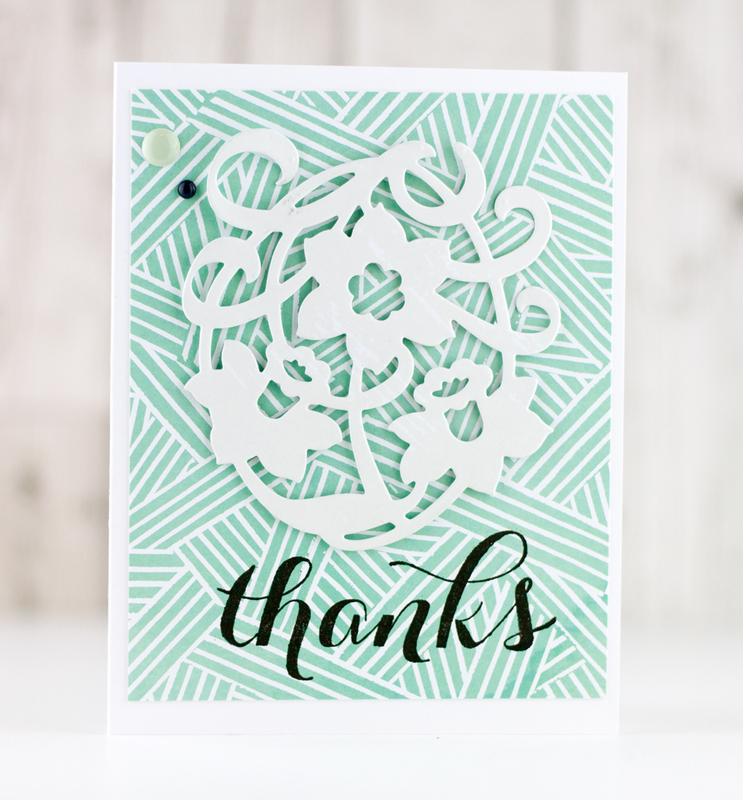 I created this card simply by cutting out two pieces of patterned paper from the same sheet. I sized one sheet to 4 x 5 inches and added it to my white card base as a panel. I flipped over my second piece of pattern paper to the neutral side, creating a die cut with the Spring-Splendor die. I adhered the die cut flower to the card base with foam tape and stamped a sentiment. The inking I used on this second card made the flower the star of the show! I cut card stock to 5 x 4 inches and blended together three inks. I cut the blended ink paper with a die, and adhered it to a simple white card base with foam tape. Last, I added a simple sentiment and this card was done! In addition to card stock, Die-amities dies can cut foam, thin chipboard, felt, fabric acetate and wood veneer paper. Together the Cut 'n' Boss and Die-Namities make for the perfect combo! Thank you so much for stopping by the blog! Be sure to leave a comment below to enter this giveaway! After you're done, head over to the Die-Namites blog to see their amazing project, and leave a comment for an extra chance to win! These are so different and each is so pretty! love that color combo on the last card! Beautiful! Gorgeous cards with that lovely die! Great cards! Amazing how different a card can look using the same die (and one "upside down"). Beautiful. The die cut is beautiful. Love how you turned it upside-down on one of the cards (either direction is correct). The shading on the second cut is beautiful. the paper on the first card is so fun. thanks for sharing. It's been a great blog hop. Wonderful projects. Love that colours on that last one. Lovely! The colors of the second one are absolutely gorgeous!! Beautiful diecut & lovely card! Great jobs!!!!!!! The colors are lovely!!!!! These are both very pretty! I especially love the second card!! The beautiful colors really make the flower POP!!! This has been a really great hop and I am glad I came along for the journey! TFS!